Your security is at stake if your door locks are damaged, your keys are stolen or if your door simply won't lock. That's why it's imperative for you to have a good company by your side for such urgent problems. These things happen every day, and our professionals can take care of these issues right away. Emergencies happen when people don't have access to their properties, cannot lock one of their doors or windows, their key doesn't fit or is stuck in the lock, keys are broken or stolen, and locks are jammed. Whether such problems might have bad consequences or not, they are still problems which might lock you out or keep you from securing your office or house. In such instances, you will find our team standing beside you and ready to offer emergency services. Lock and key related problems happen every day. How many times have you left your home without your keys? How many times have you searched for your auto chip key because it wasn't where you thought you put it? When things like this compromise your security and safety and you don't have any alternative solutions, you can rely on our company. Working day and night, our technicians can help you deal with such problems and rest assured that our company offers lockout service. Lockouts are not the only urgent problems. Stuck and damaged locks can also lock you in your house. You might not be able to open the door or you might not find the right keys to lock up. Imagine accidentally locking your pet in the car. Sometimes, issues can take dramatic turns if you don't do something about them right away. Keeping the number of our company handy can save you from such trouble, inconveniences and hassles many times. All you have to do is to send us a message with your whereabouts and current problem and let our lock repair team take over. With mobile technicians ready to go and every van equipped to serve people's needs, our company can help you in just a very short time. When the car keys are locked in the car, the trunk won't open, the keys are broken, the home door fails to lock or one of the office doors doesn't open, you can count on our emergency services. 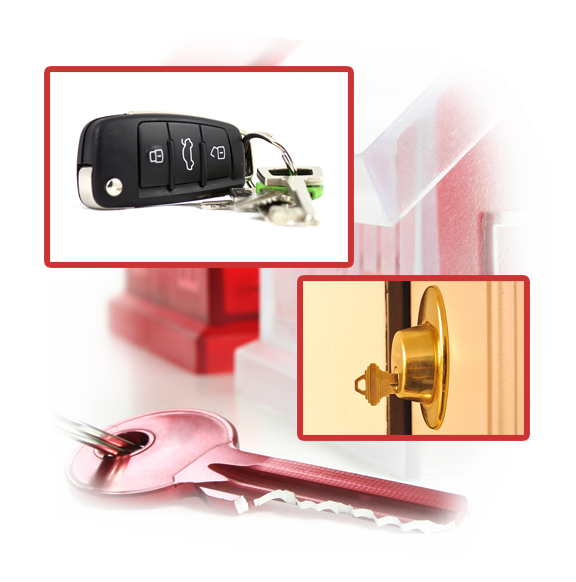 Our experts can change locks that have been tampered with or completely damaged by intruders, can open a stuck safe, fix the cylinder, repair the bolt, open locked cars, program the car key and retrieve a broken key. Just give us a call the minute you are in such trouble!